If there is one movie the hip hop community has been asking for before 2009’s Notorious hit the big screen, it was a Tupac Shakur movie. However, the demand for the film spring rapidly after hip hop biopics Notorious & Straight Outta Compton. All Eyez on Me covers Tupac’s childhood, his teenage years & his rap days with Interscope & Death Row Records. The film also lifts back the veil on incidents in Shakur’s life that most people are familiar with & many things that have just come to light including the truth behind the incident at Quad Recording Studios & the relationship between Shakur & Suge Knight while he was an artist at Death Row Records. The film does a great job with covering the pros & cons of Shakur’s life. Writers Jeremy Haft, Eddie Gonzalez & Steven Bagatourian wove together a strong web that contains everything relevant in Shakur’s life without going overboard with the what-ifs. At times, the film can be an emotional roller coaster that is built with sharp turns & few unwelcomed bumps. One of the major things that fans of Shakur were worried about was whether or not he would embody who Shakur was & maintain that powerful presence he had. 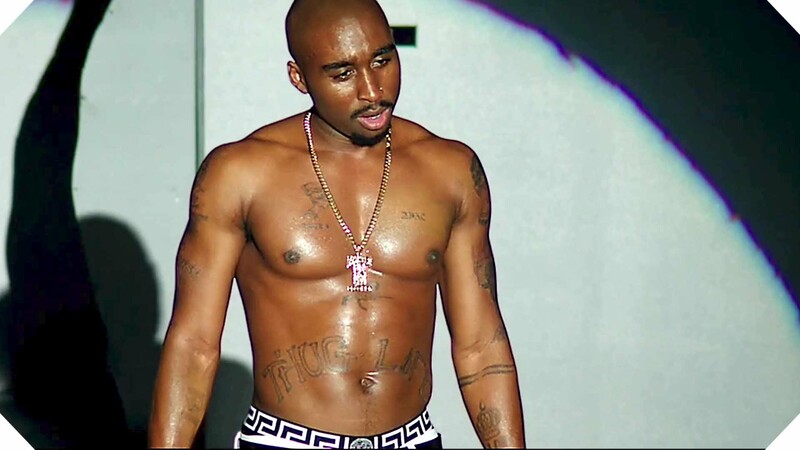 Well, I will say that Demetrius Shipp Jr. not only looks like Shakur, but he also resurrects the rapper to the point where it feels as though Shakur is playing himself. For someone who has never acted before this film & is playing one of hip hop’s greatest rappers, Demetrius definitely proved himself here as someone that can accomplish great thjngs. Danai Gurira, who plays Shakur’s mother Afeni Shakur added some very heart-warming scenes that fleshed out the core relationship Shakur had with his mother. The bond that Shakur had with Jada Pinkett-Smith, played by Kat Graham, was a much needed layer that webbed together certain parts of the film. Without giving away too much, Jada was person that could somewhat ground Shakur when he was becoming too immersed in the world that Suge had built. Speaking of Suge, Dominic Santana definitely embodied Suge physically & mentally. He did an excellent job with bringing Suge to life & did it better than any version of Suge before. The film tied together the Notorious film into this story very well. Seeing Jamal Woolard, who played Christopher Wallace aka Notorious B.I.G. in 2009’s Notorious was a nice touch. Shakur & Wallace’s friendship was further fleshed out & revealed some interesting new Details about the two before the fallout. Although it felt a bit rushed & out of place, the film did tie up the relationship Shakur had with Kidada Jones (Annie Ilonzeh), his fiancé, towards the end of the film. A major no-no in the film was that the actor that played Snoop Dogg (Jarrett Ellis) was robbed from acting much. They actually had the real Snoop Dogg’s voice dubbed over Ellis’. This was not only a terrible decision, but it was as if they thought moviegoers wouldn’t catch onto this nonsense. People were laughing during Snoop’s dialogue, but it wasn’t because of what he was saying, it was of how it was being said. Benny Boom & L.The. Hutton took a big risk with bringing a Tupac Shakur biopic to the big screen, but the risk did pay off. Boom’s vision & L.T. Hutton’s push to bring this project to the big screen was something hip hop fans & casual moviegoers alike like needed to experience. Shakur had multiple sides to him that were all touched on & fully explored. The climax to the film was a bit abrupt, but it was overall a satisfying end to this touching tale.